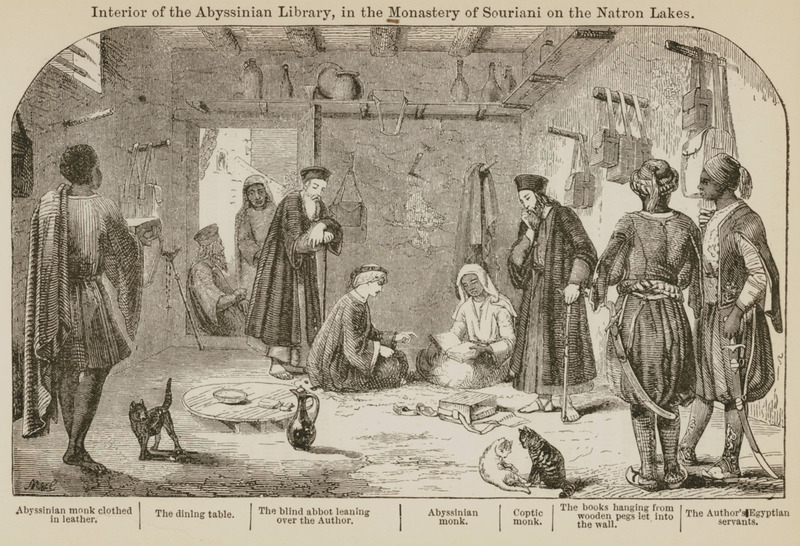 Interior of an Abyssinian library, in the Monastery of Souriani on the Natron Lakes. CURZON, Robert. Visits to Monasteries in the Levant, London, Humphrey Milford, [1865 /1916]. CURZON, Robert, Baron Zouche. Visits to Monasteries in the Levant, London, George Newnes, 1897.